I have had experiences riding a motorcycle for over 20 years. I know what to carry in a motorcycle purse! There are unique items that are specific for our shared passion of motorcycle riding. You will be prepared for any number of unexpected, but totally plausible experiences while on the road with this list. Be prepared with a practical, usable and potentially life saving assortment of goodies. I carry a backpack style purse and there are many pockets to store important practical necessities. I use a number of small make up bags with zippers to store different types of items within my handbag. I group like items together. 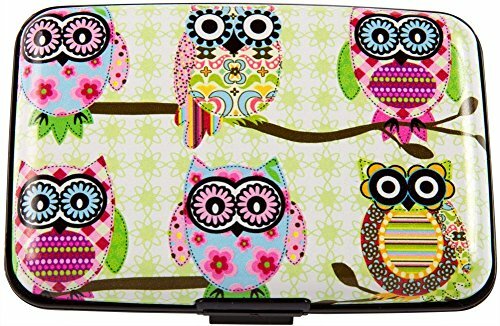 I use makeup bag one for travel size kits, such as a sewing kit, small first aid kit, a small folding pocket knife and a little eye glass cleaning kit. I also put my iphone charge wire in this bag. I use bag two for pen, post it notes, an alligator clip, a paper clip, a hair elastic, a lighter in a zip lock bag, and a small address book (in case cell my phone dies). Of course, I have a cosmetic case, bag 3, for my travel make-up and a pick or a comb. I also put a travel sized toothbrush, floss and toothpaste in this bag. I then carry my wallet, cell phone, sun screen, lubricating eye drops, bug spray and other items. Of course you will find your own favorite way to organize all the items you will want to carry in your own motorcycle purse. 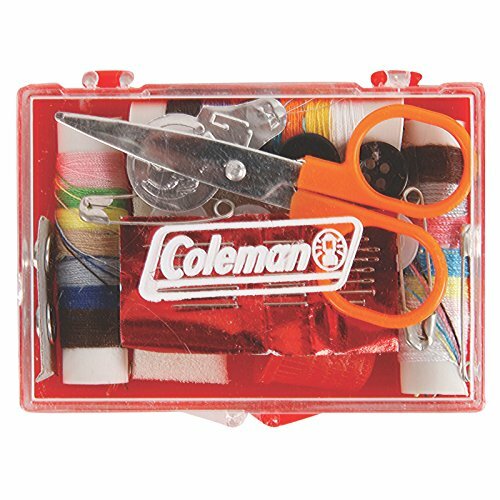 This cute and compact sewing kit has everything you need!, Needles, thread, a threader, pins, buttons, thimble, a snap set and scissors. I use my travel sewing kit often. It never fails that when you are away from home, something needs a quick repair job. I really appreciate the handy threader. It makes threading through the eye of a needle effortless! This is my purse sized first aid kit. I do carry a bigger first aid kit in my motorcycle saddlebags, but that will be a separate article. 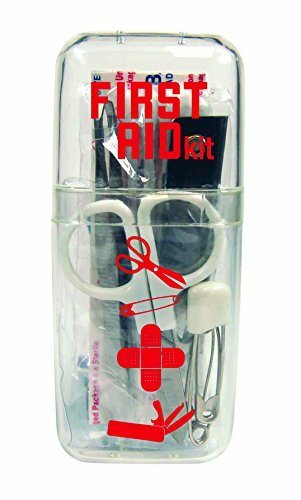 This tiny little kit will not save lives, but it will for sure keep bandaids, scissors, and other small tools clean and dry. 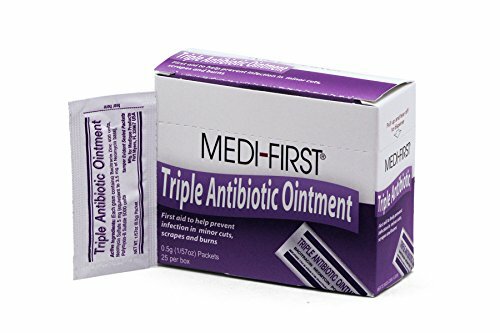 It is so nice to have Band Aid brand adhesive bandages safely in your purse for small scrapes, bites and blisters. The enclosed Q-tips have so many purposes. I also slip a couple of the triple antibiotic ointment packets in this bag also. It is always a good idea to make sure open surface wounds or scrapes are clean and antibiotic cream helps to prevent infection. 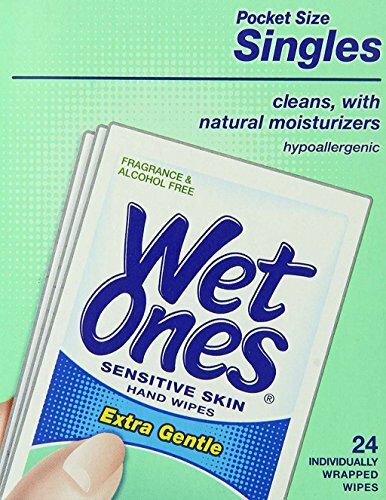 Throw in some Wet-Ones individual wet wipes for sensitive skin. These beauties are great for those side of the road bathroom trips and for sticky food residue. Also these great little hand wipes are great for bug splatters on your face. I like that they are alcohol free and made for sensitive skin. They are definitely what you should carry in your motorcycle purse. They are one of the most useful products out there. The fact that they are individually wrapped means that they will not dry out and no liquid will spill in your purse. Ok, I think that really nothing but time is the ultimate cure for a wicked hangover, but having a travel sized bottle of Tylenol and a package of Tums antacid has made my nausea decrease alot after a heavy drinking biker party. Tylenol is also great for fevers and aches and pains after a long day of riding. And sometimes that big juicy hamburger you had for lunch just doesn't settle well, so its Tums to the rescue. When thinking of what to carry in your motorcycle purse, remember these tiny, but important additions. Your eye glasses, sun glasses and goggles are an imperative part of your safety gear when riding a motorcycle. This compact little combo eye glass cleaning kit is so practical. This tiny kit takes care of cleaning bug smears and general dust and grime off your shades without scratching with the streak free microfiber cloth and eyeglass cleaner spray. There is an eyeglass screwdriver kit to tighten screws so your lenses don't fall out while you are riding and you can ensure that the arms fit comfortably under your helmet. This pocket survival kit has so many useful items. You may never have to use any of them, but they are a must-have, just in case. This is a very compact kit, with the waterproof box measuring 3.4 inches by 5.2 inches by 1.4 inches. The survival box contains a stainless steel multi tool card with instructions of uses, and there are so many! 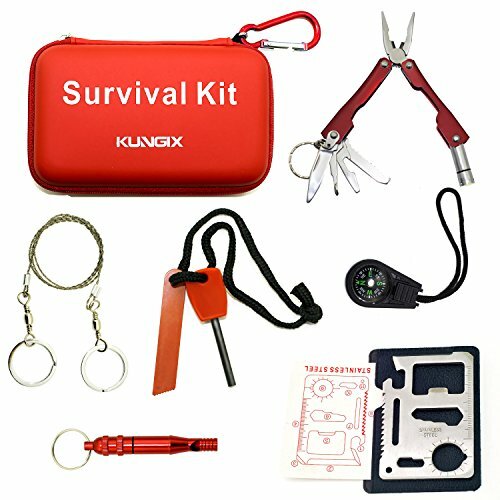 The survival kit also contains a stainless steel folding knife set that includes pliers, knifes, LED flashlight, opener, tiny saw blade. So cute and so practical. There is a cool flint fire starter set too, including flint and striker. The other included items in this wonderful set are a wire saw, a functioning compass and an ear piercing personal whistle. I have small square post it notes in a zip up cosmetic bag, along with a pen and other handy "office supplies", such as paper clips, and alligator clip and an address book. I have just added little things as I developed my motorcycle purse supply list. 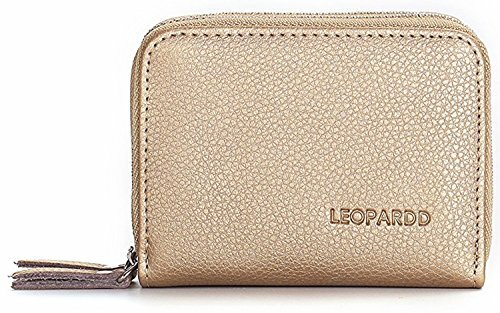 I would advise you to invest in one of these fantastic small travel organizer wallets. Then there is no need for a separate bag. 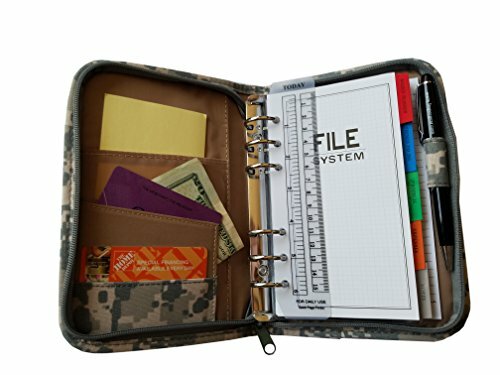 This self-contained, zippered, camouflage colored binder type case contains all your portable office supplies in one place. It has a calendar and an address book. Also included is an expenses section to keep track of your finances. If you need to leave a note for someone, the pages are removable, and you can purchase replacement filler pages. The handy inside plastic cases can hold paper clips or receipts and other sundry items. A handy ruler and ball point pen are included and there is a spot for business cards from those great vendors and fellow riders you will meet on your motorcycle road trip. 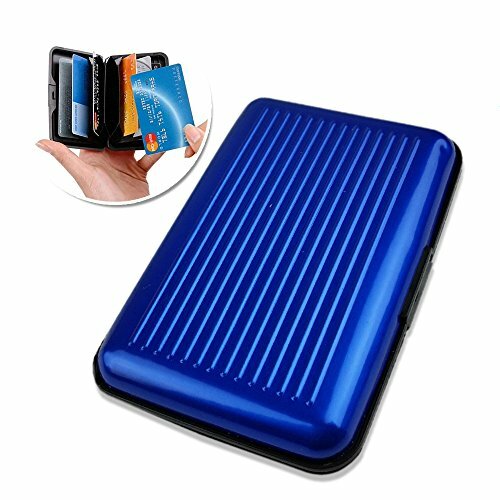 In order to protect your credit cards and debit cards that are equipped with chip technology from crooks who use handheld Radio Frequency devices to steal your precious information, I highly encourage you to purchase a RFID Blocking Credit Card Case. 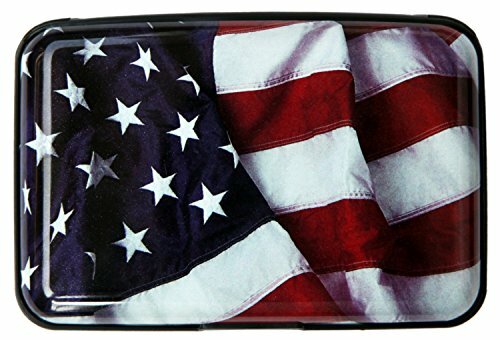 These beautiful cases and leather wallets are eye-catching and practical for your financial protection. All of them are equipped with plastic dividers on the interior of the cases. I always carry a pen light flashlight in my backpack handbag. So many times I use my pen light, both while around my motorbike and while I am away from it. 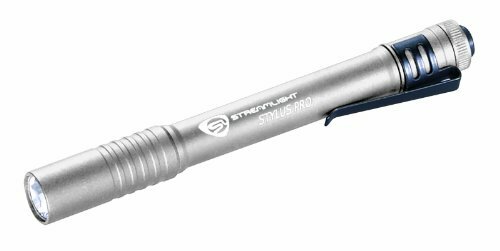 I particularly like this stylus pen flashlight by Streamlight. It is small, no larger than a felt marker. The flashlight has a clip if you want to clip it to a specific spot inside your handbag. Light provided is a white LED long distance beam with a long lasting life. You have to actually push the bottom of the flashlight to turn it on. This means it will not accidentally get turned on in your purse and run out of battery. It takes one AAA battery which is included with purchase. This beauty is corrosion and water resistant. It is exactly what to carry in your motorcycle purse. Sawyer Products Premium Insect Repellent contains 20% Picaridin, which is an effective, safer bug deterrent ingredient than DEET. Effective against ticks, chiggers and mosquitoes, this tiny 2 oz spray bottle is perfect for your motorcycle purse. There are other sizes of sprays available, as well as a lotion. This bug spray works as well as DEET. Products containing DEET are very effective, but there are concerns about the possible long term effects. And Picaridin is safer for your gear. Protecting your expensive motorcycle gear is a priority. With Sawyer Picaridin insect repellent the bugs wont bug you! So many totally awesome outdoor motorcycle events are overtaken by hungry, blood sucking insects. Not only do the bites hurt, but some of these nasty little critters carry deadly diseases. Be protected! 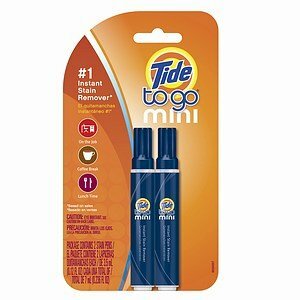 Tide detergents makes a mini Tide-to-Go stain remover pen that is a perfect fit to carry in your motorcycle purse. It seems inevitable that food slips from your lips and drops on your shirt or pants. These little miracle workers often get rid of those yucky stains if you use the Tide to Go pen before the stain has a chance to set. A word of advice though - make sure you check these pens out before going on a trip if they have been in your purse for awhile. They do eventually dry out. Its a good idea to have extras on hand. We all throw a comb or brush into our motorcycle purse. But this unique, compact product is made for motorcycle purses. It is a foldable, battery operated brush that does so much more than just brush your hair. 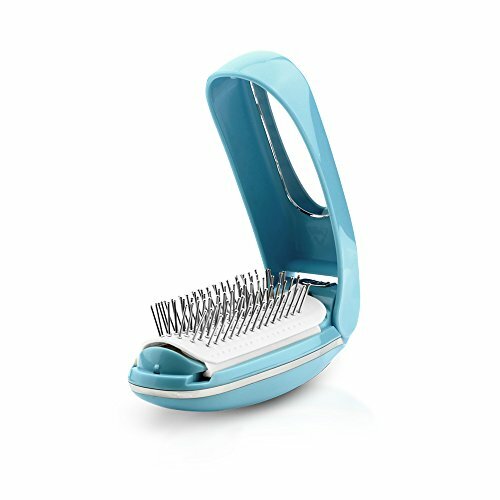 It has ionic anti static properties and has a scalp massager that will feel soooo good on that scalp after wearing a helmet all day! The anti tangle features will deal with that helmet head and keep the frizzies at bay. This little powerhouse of an anti static hairbrush takes one AAA battery. I know that you probably have your own favorite makeup brand. Fragrance free makeup is excellent for sensitive, wind-blown, motorcycle skin. My preferred brand of cosmetics and skin care is Clinique. Fortunately, they sell or have promotional give-aways of mini travel makeup kits. These gift sets have all the basics you need in a designer cosmetics bag. 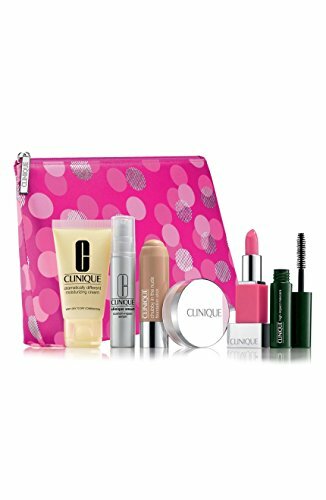 This particular set has a chubby stick foundation, face powder, two skin care products, a nice mini lipstick and a trial size mascara. Throw in an eye liner and eye shadow, and you have all the makeup you need in one small package. With all our modern day communication devices that need charging, a small, portable charger is easy to slip in your purse. 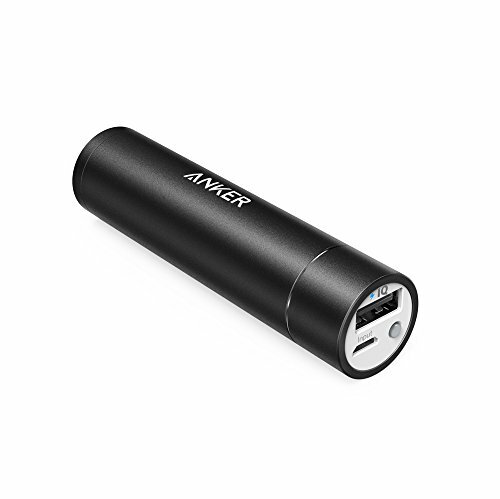 This portable lipstick charger charges up in 3 to 4 hours and will recharge for at least one full charge. This is a handy item when you are not close to an electrical outlet for charging your cell phone. Have you ever got bugs in your teeth? Or have you ever had lunch leftovers stuck in between those pearly whites? Travel pack sized dental care makes your smile even bigger and brighter as the road unfolds in front of your steel horse. Don't leave home without them! Your dentist bill will reflect your foresight. 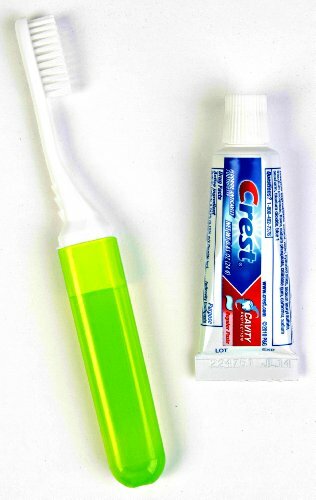 A foldable toothbrush, breath freshening toothpaste and those wonderful little plastic soft tooth picks or floss will make oral care a breeze. I always carry extra multi-purpose ouchless hair elastics and scrunchies in my motorcycle backpack handbag. I usually carry black, as it goes with anything. It is so easy to loose a hair elastic when you are roaring down the road. The elastics are great for bundling things together, and can even be used for clothing issues such as shirt sleeves flapping in the wind, or a rain suit that has come loose at the ankles. 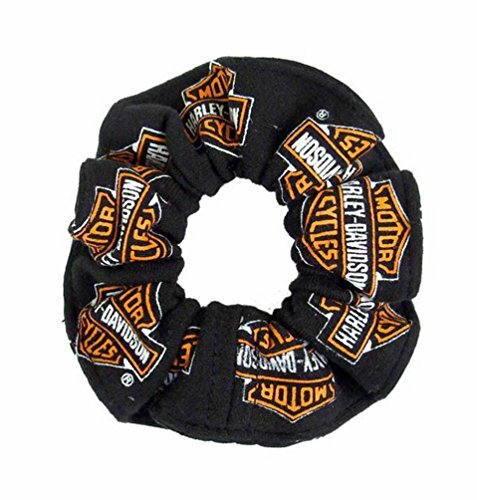 The Harley Davidson black and orange scrunchie is cute and can be worn on or off the bike and for various fashionable hair styles. When you are wondering what to carry in your motorcycle purse, please don't forget lubricating eye drops. These are the best lubricating eye drops that I have ever used while riding my cruiser. They do not burn, they do not create a fuzzy film over my eyes and they sooth those dry, dry eyes. Dehydrated, burning eyes are a common complaint for motorcycle riders. 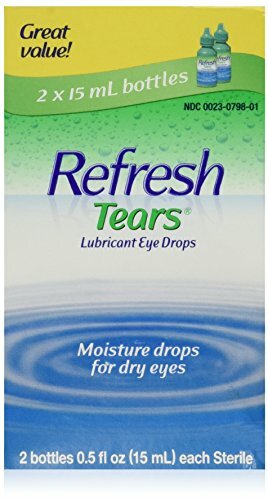 Use them often, your eyes will thank you. Sunscreen is so important for preservation of your skin. Skin burns and ages quickly while motorcycle riding. The consensus is that anything over SPF 30 is a waste, but I prefer to be safe, and I advise the use of this oil free SPF 60 Face sunscreen by Ombrelle. Slathering non scented facial sunscreen on the other exposed parts of your body is perfectly acceptable. I use this product and find that it is moisturizing, effective and does not react with my sensitive skin. A good sunscreen lip balm is imperative! Burnt lips are painful, unsightly and take a long time to heal. Apply the Panama Jack lip balm sunscreen regularly not only as a protection from the sun, but also to keep lips moist and soft. You may need to check your local laws regarding carrying pepper spray for personal defense. As a woman who may end up riding alone, having 'dog' pepper spray on a quick detach key chain on the outside of your motorcycle purse could be a life saver. Personal safety as an independent female rider should be at the forefront of your concerns. 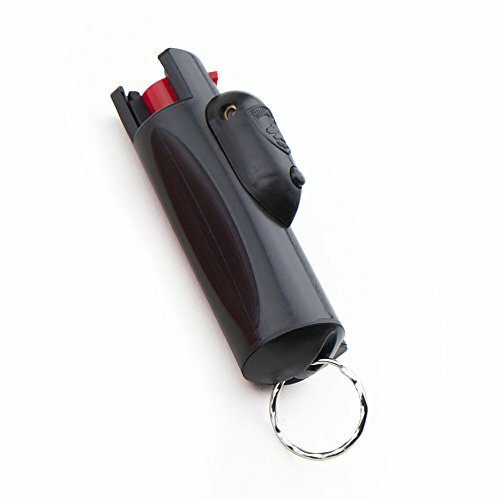 This compact 18% pepper spray comes in a non leak key chain case. It also shoots an identifying UV dye. I love the unique feature of a laser pointer to help direct the spray at an assailant, whether it be man or beast. The range for this self protection device is up to 16 feet. There is also an on-off safety lock twist top to turn the device on, so there will be no accidental spills or sprays. Thank you for reading my opinions of what to carry in your motorcycle purse. I trust that you found the article useful and informative. I enjoy sharing my passion and experiences with you.